I have 3 Panasonic DMP-BDT 220 Blu-ray players and all of them stopped connecting to Netflix at the same time. Although Panasonic seems to be particularity bad, all set top boxes and TVs seem to have occasionally have Netflix connection issues. Here’s my list of the most common methods of solving those issues. Option 1 – Hidden Menu within the Netflix App to Deactivate your Device: this should work for any device as Netflix requires every manufacturer to include it. Please note that this does not deactivate your Netflix account itself, just your device, requiring you to log on again. Once the app is open, even if it is displaying an error message, hit the following buttons on the remote: up, up, down, down, left, right, left, right, up, up, up, up, up. A system information screen will be displayed. You can deactivate the device in this screen. Option 2 – Deactivate All Netflix Devices: This should should also work for any device; the only draw-back is that it deactivates Netflix on every device you own and you have to re-logon again on each one. If the first option doesn’t work, try this one. Please note that this does not deactivate your Netflix account itself, just your devices, requiring you to log on when you next use them. 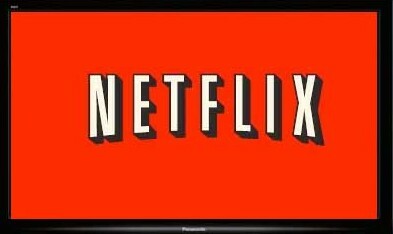 Logon to your Netflix account through your web browser. You will get an error message that the device has been deactivated and that you’ll need to log on again. Exit the Netflix app and start it again. You should now be prompted to logon to your Netflix account. Please note that you’ll have to log on to Netflix again on all of your devices, not just your problem device. Note: this works on Panasonic DMP-BDT 220, DMP-BDT 320, and DMP-BDT 500 Blu-ray players. The procedure may be the same for other Panasonic models as well. Press and hold the “OK” button for 3 seconds. You will now go though guided setup, and you’ll be asked for your Netflix username and password when you start that app. Please note that you will need to logon to all apps that you use on your Blu-ray player again, including your VIERA Connect password. Option 3b – Factory Reset of Roku. Thanks to @geekiestwoman for this Roku info. You can read the full post here. The Secret Screen will open with two columns visible. The left column is system information related to your Roku device. The right column contains clickable links for various tasks (including “Factory Reset” just fyi). If there is an IP address showing on the left side of the screen, then on the right side of the screen click on the link labelled “Update Software”. Wait patiently while the system first checks for a software update, and then, if it finds an update, applies it to the system. At the end of the update process, you will be returned to your normal Roku screen. If the above steps did not improve the issue you have with your Roku service, try resetting the Roku unit to its factory settings by repeating step one above and then clicking on the “Secret Screen” link labelled “Factory Reset”. Alternately, you can do a “Factory Reset” by finding the reset hole on the Roku remote (on my remote it is on the front side of the device) and then pressing the end of a paperclip into the hole and holding it for 20 seconds which will cause the Reset process to start. Option 4: Manually specify DNS servers in the network settings screen. Many Internet Service Providers are now throttling Netflix due to a court ruling that overturned the FCC net neutrality regulation prohibiting throttling. This causes problems because the ISP DNS server directs all Netflix requests through a proxy server, and some hardware devices (especially Panasonic devices) have buggy firmware than can’t handle this type of network redirect. The only solution is to manually specify a different DNS server (such as Google’s) that doesn’t redirect through a proxy (instead of the DNS server auto-assigned by the ISP.) Here are instructions specifically for the buggy Panasoinc Blu-ray players, but you can make the same change on just about any other device by finding the correct settings menu screen. Note that another way to accomplish Option 4 is to instead make a the change in your router DNS settings and specify a manual DNS IP address instead of the one automatically assigned by your Internet Service Provider. This will cause every device on your home network to use the new DNS without having to make any changes to them. You will need to figure out how to log in to your router’s settings webpage and then manually specify the DNS server IP address, similar to what is described above. One of these options should solve your account access problem. Obviously, this problem is quite a pain for the user because none of these solutions are obvious. Be careful when choosing a streaming device for Netflix. I purchased my Panasonic Blu-ray player because it could access all of the online content I wanted and it also plays DVDs and Blu-rays. I thought to myself, “why would I buy a Roku / AppleTV / ChromeCast?” Well, now I know. The apps / menu system on the Panasonic Blu-ray player is horrible and the software updates are problematic. It’s pretty good for playing Blu-rays, but there are much better devices for connecting to online video streaming services. If you still have problems, you may also want to try the suggestion on this page. Any suggestions for if the app won’t even open on a Sony player anymore? This past weekend app wouldn’t open after we had been watching all morning. Turned the player off and when we tried to watch later, the app would not open. Have seen in some forums that this happened to others also over the weekend after Christmas. We had an older Sony player on another tv so checked if app was working and it was so brought it out to the living room. The app was working and we watched a couple of movies and then turned it off to watch Hulu on the other player. Later that afternoon we wanted to watch Netflix again and turned on the other player. Low and behold, the app was no longer opening on this player either. Netflix support blames it on Sony and Sony blames it on Netflix. All troubleshooting from both companies either doesn’t solve it or doesn’t even have any thing to do with the issue. Obviously the players and the internet are fine since all the other apps work on both players. One is a Sony blu ray player which is wired and the other is a plain old Sony media player that is wireless. Hi my LG 40″ is not storing my netflix password,once i log on and turn my set off and turn on again i have to keep putting in my email and password,what can i do to elimnate this. If you’ve tried the suggestions ob this page and still have the problem, it’s probably an issue with an old and poorly maintained LG app. Your best bet is to get a Roku stick for about $40 and use that instead. On the sequence to deactivate you have 1 too many ‘up’at the end of the sequence. It’s only 4, not 5. I tried another person’s directions and for right to the deactivation page. Hi Carlton will the first fix work on panasonic plasma smart TV were netflix has a red button already on the remote ? Brilliant! Had Netflix streaming problems, did the factory reset on our Panasonic Blu- Ray player and it worked beautifully! Thanks for sharing your expertise! I had Netflix on my smart tv. We lost power cause of a bad storm. Now we can’t get it to come back on. We was wondering what we need to do to get it back up. MY NETFLIX DO NOT WORK WHY IS THAT I PAID WHO CUT IT OFF????????????? What if the remote doesn’t have an ” ok” button? I have TCL 55″ smart TV 4K and I am wondering if available to watch Netflix. If so how I can that be? Thank you for this info, worked like a charm! I’m totally frustraed – So yes, something has changed – I had to get my main board replaced in the Panasonic t50 since all of my HDMI connections went out. NOW i can’t get Netflix to load. I did the force disconnect, the up up down down left right left right up up up up… is says it will deactivate the account…click ok… never deactivates the account. I tried changing the DNS to 8.8.8.8 and even tried a cable direct to my router. NADA… very frustrating… it works fine from my Apple TV… just not from the the app on the TV…. anymore ideas?? Thank you! Thanks a ton for this info which I couldn’t find anywhere else. Netflix is installed via a plug in but it keeps randomly turning on when I’m watching normal tv how do I stop this please ? My recommendation is to uninstall the plugin and purchase a $30 Roku streaming stick and use the Roku for Netflix. I can’t get my roku to work on panasonic plasma, I don’t even get the home page. Chatted with panasonic, they said maybe I would have to change the roku settings, and they could not advise me on any streaming device that works with this tv. I’m not familiar with the Joey, but your problem is most likely related to your home network not having the same signal strength at the two different locations. How to enter my email address and password for netflix setup using the remote control? Thank you for your tips on this website. It was more helpful than the Netflix help page or chat. Some external links are affiliate links that help fund the site. All opinions are my own.